Здесь вы видите Scottoiler Universal V system - Automatic Chain Lubrication System. В нашем интернет-магазине вы найдёте тысячи других запчастей высокого качества по доступным ценам. 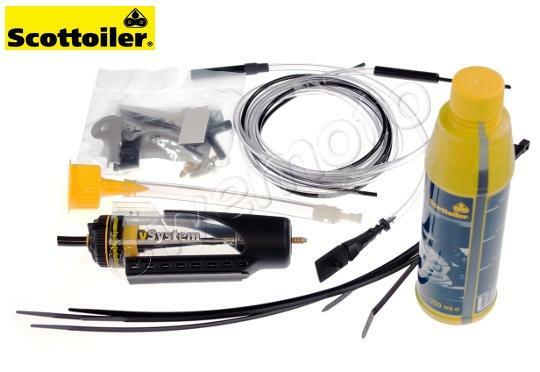 The Scottoiler Automatic Chain Lubrication System for Motorcycles, saves fuel, improves performance, is easily fitted to all types of bike including fuel injected bikes, eliminates chain cleaning, suits all types of chain including 'O' ring, can be used for on and off road and gives between 2 to 7 times chain life.